A while back the good people at Admap asked me, along with a bunch of other strategists to contribute to a bumper September issue on the future of Strategy. It’s rather long but here it is for your delight. The skills of the strategist are, with the best will in the world, unnecessary. In any organisation the doers and the makers are essential. They are the people that deliver the product or service to those that need or want it and without whom there simply isn’t a business. By contrast strategists and the discipline of strategy has no innate right to exist, it is an added value activity. It exists only if and when it can add significant value to the business or for strategists in agencies and consultancies, the performance of a client’s business. This has always been a source of enormous strength to me, a planner by trade and strategist to the core. There is something immensely liberating and empowering about not being needed, not being mission critical and not being part of the machine. It frees up your time, energy and your mind to focus on creating real value, on moving to the places and tasks where you can make the most difference. The value of the strategist comes in large part from two activities. The first, one might call optimisation, in which we use our skills to improve the on-going performance of the brand or business. These are often the many small interventions that fine-tune the activities of the organisation, from communications to culture and product propositions to reputation. This is, in many ways, the day job of the strategist, justifying our keep by squeezing a little more performance from current operations. However, there is another kind of value that good strategists deliver and that one might call periodic disruption. This is when we help resolve the fundamental questions that a brand of business faces, questions that are about direction rather than simply progress. It is disruptive because it embraces the need to step beyond the conditions that have delivered success to date. And in doing so, allows the brand or business to ‘re-curve’, as the management guru Charles Handy would have it, in order to find a new source of success or means of serving the end customer. This may take the form of new products, propositions, positioning or purpose depending on the issues facing the business. That’s the real role of strategy and of the strategist, finding new growth by answering the big questions that face the organisation. There are other things that we do but this is where we add real value. I raise this not because it represents profoundly new thinking about the role of the strategist, I raise this because it helps explain why the skills of the strategist are increasingly in demand. If it’s the big questions that we are best placed to answer, there are some pretty big questions in most businesses right now. It is trite to say that we live in an era of unprecedented change but that doesn’t make it any less true. For sure, the ever moving variables of competitive pressure, economic environment, available technology and changing culture render business an eternally dynamic enterprise, where a condition of steady state is rarely achieved. However, one senses that today this has never been more the case. Businesses and brands are almost all in start up mode, turn around mode, or they are failing. Even the stellar success stories of our age from Amazon to Google are constantly changing the underlying principles of their business. Whether this is a one off moment of recalibration as business models are disrupted and reset or whether this is now a permanent set of conditions with which we will become accustomed, only time will tell. But as I look at the brands and businesses that we represent at Saatchi & Saatchi I can’t think of a single one that is ticking along nicely, fuelled by certainties of any description. In short, business as usual is profoundly unusual. The businesses and brands I encounter now all face and are asking very big questions that they need answered. And that is very good news for the strategist, since we thrive in the places and times where and when the questions get big. Indeed the result of the challenges that face our businesses and those that we advise heralds a new golden age for strategy and strategists. We may not be necessary to the day to day but we are bloody invaluable when organisations need a new way forward. Many agree with the idea that our time has come but are certain that as clients recognise the value of strategy they are taking those roles in-house. That, just at the moment people really understand the value and contribution of great strategists, that this scope will be ripped away from agencies and consultancies that have traditionally delivered it. Well I don’t quite see it that way. The reality is is that there are enough questions to go round without the necessity of a turf war between different sources of strategy whether inside the organisation or in external agencies. Far from taking scope and opportunity from agency based strategists, client based strategists elevate the discipline within their organisations and provide a powerful ally for those of us on the agency side. Without a doubt my most successful client relationships are with that client’s strategist. They are often a little more commercially focused than the agency strategist and a little less experienced at delivering a tangible output but they see the world in the same way as us. They have the same dislike of adhoc solutions, like us they wince at orthodoxy in all its hideous forms and they take delight in the same sources of inspiration and ideas that we do. Client side strategists make life better for those of us on the agency side and often make it more likely that our ideas will be taken to the heart of the organisation. So I’m excited by the emergence of brand based strategists. Partly because of the contribution that they make in delivering better answers alongside agency based strategists. But also because there are qualities in the agency based strategist that are hard to replicate in-house. Quite clearly there is a unique perspective provided by those that work across categories and on a diverse range of problems and questions, not over their career but over the course of a day. It’s a curious combination of variety and repetition, a variety of brands and categories but a repetition of the tasks that don’t simply build experience but create a powerful ‘muscle memory’ about how to address difficult and business critical problems. However, there is a clear imperative for strategists in brand advice and creative agencies. If we are to take advantage of the desire for strong brand advice even where brand based strategists are more common-place we have to rise to the challenge and be able to address the issues that brands and businesses have. And this is where I feel less optimistic about the future. The big question for agency strategists is whether we are collectively capable of answering big questions. Too many young planners have been sucked into optimisation only roles that leave them planning customer journeys, creating content plans for social media and tinkering with the ads. Too many senior planners have become satisfied building brand strategies and delivering high a quality creative product without really understanding how to make that product deliver a commercial return and so they shy away from engaging with the big questions. And frankly far too many people in agencies now have the word strategist tacked onto their job description when they are no such thing. There is an irony that those people that call themselves planners spend most of the time thinking about strategy and those people that call themselves strategists spend most of the time drawing up plans. We are desperately in need of planners and strategists that are capable of ranging across the spectrum of tasks, problems and questions with ease and competence. What we are desperately in need of are whole puzzle thinkers, people that are able to solve the whole puzzle for the client and brand and not just a tiny bit of it. The huge commercial success of Direct Line, the UK insurance brand, over the past two years has much to do with whole puzzle thinking. Having created the direct insurance category in the 1980’s, by 2013 the brand that had revolutionised insurance had in turn being displaced by price comparison websites like Compare The Market. As a result the direct insurance market was in significant decline and Direct Line was going with it. That Direct Line is now back in growth is a result of a whole puzzle solution. An idea that reached into product and proposition development, customer experience, internal culture and external communications. And that was the simple decision to turn Direct Line from an insurance brand into a company of fixers. This is the essential nature of insurance, at best it exists to fix things when they go wrong, to put them back to the way they were as if nothing had happened. Being fixers means that Direct Line’s products and propositions have to be high performance and so capable of delivering when people need them. Being fixers means that Direct Line’s culture is now imbued with a spirit of fixing. Being fixers means that the Direct Line brand believes its role is also to fix the things in our lives that insurance doesn’t necessarily cover (like delivering Turkeys on Christmas day to those that had burnt theirs). And being fixers means that in communications the brand is now represented by the World’s greatest fixer, Mr Winston Wolf, Harvey Keitel’s character in Pulp Fiction. No one strategist delivered this brand turnaround, but all of those involved were working to a belief that the whole puzzle needed to be solved in order to deliver growth for Direct Line. 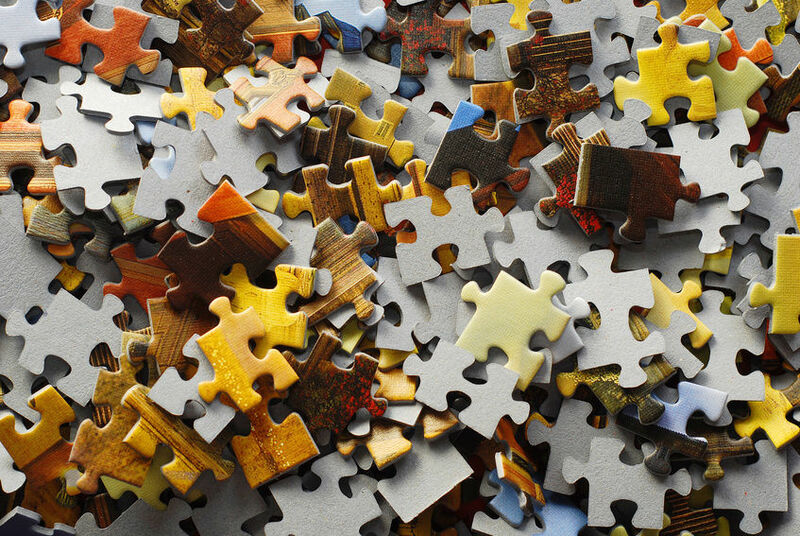 The future of the agency strategist lies in being a whole puzzle thinker. And if I were starting my career right now I would set this as my goal. It is in this spirit that I offer a little advice to those at the start of their strategy journey. Firstly, your craft is answering questions and solving problems. So you need to be in those places in which or of whom the best questions and biggest problems are being asked. That means brands with significant challenges, whether they are starting up or turning round. And it means agencies that get asked questions by that brand. So if you are a strategist at an agency that activates other people’s strategies, however good it is at that implementation, get out. Get yourself to an agency that gets asked the sort of questions that you want to answer. Secondly wherever you start in the world of strategy – brand, communications, insight, social media etc. make sure you get up stream as soon as possible. Make sure that you have both the capability and aptitude to solve the whole puzzle and not just parts of it. Thirdly never let yourself believe in the tyranny of ‘or’. That you have to be a brand planner ‘or’ a digital planner, that you have to be a creative planner ‘or’ a performance planner, that you have to be an optimiser ‘or’ a disruptor. We live in an age of ‘and’, so you should reject binary labels. And finally know that in all of this, the greatest contribution you can ever make to any agency and any brand is in opening up entirely new sources of revenue and growth purely through the acts of imagination. Through out your career, however the tools and techniques of marketing and brand building change you will never find yourself out of touch or off the pace if you possess the ability to make your mind do extraordinary things when faced with the great questions that continue to mount up at the doors of our businesses and those of our clients. Because that is the true value of the strategist and it’s eternal. Amazing article. I am in a strategy and insights role at a large MNC so enjoyed it even more. Strategy is an area where there is a critical lack of training. Young planners at agencies are struggling because there are no mentors or role models. It has become a very diluted proposition in most agencies. Agencies being unable to attract the best and brightest talent may play a role as well. Richard, people like you must think about this. How can you help give the world more planners who can articulate something on strategy like you just did. As an insider its good to hear you appreciate that strategic leadership is not a bun fight beween agency and client but there is food for thought for all. I think one of the dichotomies is knowing when to stop tweaking and refining and when to knock it all down and start again. There is a frustration that the horrible “always on” marketing world is parading activity, ubiquity and rapidity over meaningful outcomes, learning, insight and considered strategy. It’s also burning out a lot of marketing practitioners. Richard, this is smart and inspiring. Thank you. I wonder if there is also an innate ability to step back and see a bigger picture that is inherent to the whole puzzle thinker. That sounds obvious; it is. And yet, stepping back is becoming more and more of a challenge as we become mired in an ever-increasing deluge of data points. The big thinkers that we celebrate through the centuries had fewer data points in their lifetimes than we do in a single day and whilst that (might) help us to be optimisers and tweakers, it holds us back from even seeing the whole puzzle, let alone being able to address it. Whilst it is undoubtedly one of my many weaknesses, I know that my slight disdain for empiricism and the comfort of data has always been one of my greatest strengths as a problem solver. Thanks for the therapy and the affirmation. I think puzzle is the wrong metaphor–it can only be put together one way. It should be LEGO that can be combined in many ways and instead of seeking “disruption” I think “design thinking” is a better model for the exploration of novel combinations and their impact on your operation or your customer’s needs. Richard, another great piece. You might be interested to know that the original direct line concept was also put together by an agency. It was intact the brainchild of Chris Wilkins and Sian Vickers (at Davis Wilkins) in about 1987. I was a planner (child) at the time, and in charge of optimising the colour of the red telephone and the size of its wheels. Chris even wrote, or rather sang, the famous Bugle call. Chris was a genius, still is, and great to work with, if you can find it check out the Sunday Telegraph campaign from then, and have a look at what The Times is now saying about itself now. Chris was a genius, still is, and great to work with, if you can find it check out the Sunday Telegraph campaign from then, and have a look at what The Times is now saying about itself.